Online casino games have come a long way since they first entered the casino industry. In the beginning, there were only a few games that not many people were interested in playing, and now it is a multi-billion dollar industry. One of the key reasons this industry has managed to reach is that it recognized the need to adapt and utilize technology. The online gaming industry is continually evolving and adapting, so it comes as no surprise that AI (artificial intelligence) has managed to make its way in this industry, as well. 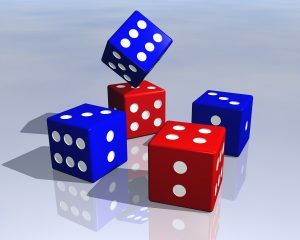 Data collection is significant for the online gaming industry because this industry is closely connected to statistical probability. This is why many online casinos invest a lot of time and effort in data analysis and collection because the information on the needs of their potential clients is of great importance to them. This helps the industry grow, as artificial intelligence software is capable of analyzing consumer habits and predicting what kind of products might interest them in the future. When it comes to providing accurate data, people and computers are simply incomparable. AI software also helps provide players with more realistic odds. Additionally, artificial intelligence has been used to enhance both fairness and competitiveness of online casino games. Online casinos need to be protected from unscrupulous players just like some players need to be informed about the gambling addiction and how to prevent it. Data analysis comes handy in this situation also as it can root out players who are cheating. When monitoring players in action is concerned, online casinos do not have the advantage of casinos which are land-based. 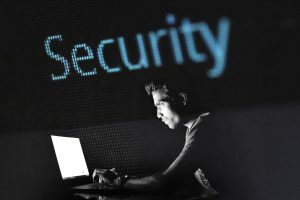 There are no CCTV cameras and security staff to detect suspicious player behavior in online casinos as the players typically access them from their mobile phones when they are out and about, or from the comforts of their own homes. This enables them to run probability programs or their own artificial intelligence bots in order to gain an unfair advantage over the house. Both the online casino and those players wanting to enjoy a fair game will benefit from AI software which identifies cheating behavior. The development of artificial intelligence software can help with a lot of the issues regarding gambling addiction. BetBuddy software is a platform designed for the purpose of responsible gambling. 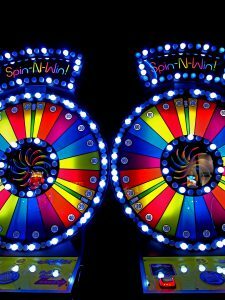 It combines the latest research related to patterns of gambling behavior and the AI in order to identify players inclined to exhibit signs of addictive behavior, thus identifying the issue before it gets too serious. It was developed with the help of the Research Centre for Machine Learning at City, University of London. One of the primary targets of the invention of artificial intelligence were online games, so it is safe to say that AI is on the way to become a crucial part of online casino games. Some of the best online casinos have already implemented this technology to empower their games, and it is safe to say that the rest are going to have to follow in their footsteps. We can expect that the face of online games is set to undergo some major changes as the improvements are constantly being made when it comes to artificial intelligence, augmented reality (AR) and virtual reality (VR).